Two time winner Rafael Lopez, artist and illustrator. It’s quiet an achievement to win an award and I imagine a great accomplishment to win an award twice, but Rafael Lopez, artist and illustrator, is one of the few multi-award winners in children’s illustrations. Artists, such as Mr. Lopez, bring to life the words written by authors, adding another dimension to a story. 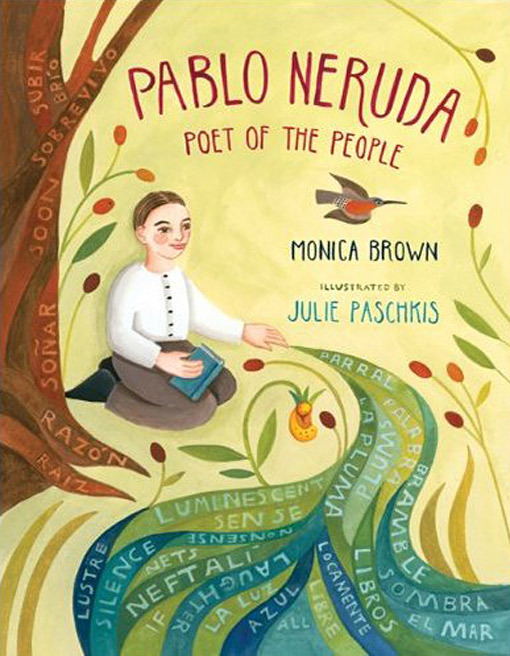 The 16th Annual Pura Belpre award honors a Latino/Latina writer and illustrator whose work best portrays, affirms, and celebrates the Latino cultural experience in an outstanding work of literature for children and youth. The award is co-sponsored by the Association for Library Service to Children (ALSC), a division of the American Library Association (ALA), and REFORMA, the National Association to Promote Library and Information Services to Latinos and the Spanish-Speaking, an ALA affiliate. One of the recipients for 2012 was Guadalupe Garcia McCall, award winning author, of “Under the Mesquite Tree.” I’ve read this book and it is exquisitely written in free verse. The emotionally riveting verse has us feel the experience of 14 year old Lupita, the eldest of a large family, who is dealing with her mother’s terminal illness. Artist Rafael Lopez was awarded his second 2012 Pura Belpré honor award for his illustration of “The Cazuela that the Farm Maiden Stirred.” Just look at this richly colored book cover. Makes you want to turn the page to see what else is in store for the eyes. His artistry graces buildings in San Diego with bright colored murals and he has been asked to contribute three paintings to Oprah Winfrey’s school in South Africa. He also drew the Latin Music Legends stamp series in 2011 for the US Postal Service. For an interesting view on how stamps are created and the artists’ experience see Lopez’ Studio blog. As a book lover, and owner of a tiny bookstore, I appreciate the craft that goes into the writing and illustrating of a story. These artists, both of the written word and drawings, work extremely hard to get their thoughts, concepts, and visions just right. This is what separates the average from the good and great. This is what has us cherish favorite books and reread them more than once. When you think back on your favorite children’s books which one’s speak to you or make your children wide eyed with amazed interest?